MESSAGE FROM THE PRESIDENT As a manufacturer of custom championship rings, we are in the business of helping you celebrate your accomplishments. Our products are 100% North American made and we take pride in our strict quality standards. Our expert craftsmen and goldsmiths, leading edge graphic artists, and ring specialists understand what it means to get the job done right. Our personal attention to detail and dedication to the craft guarantees that you will end up with more than just a ring. The products we provide are a testament to your skills and a way to preserve your accomplishments for a lifetime. 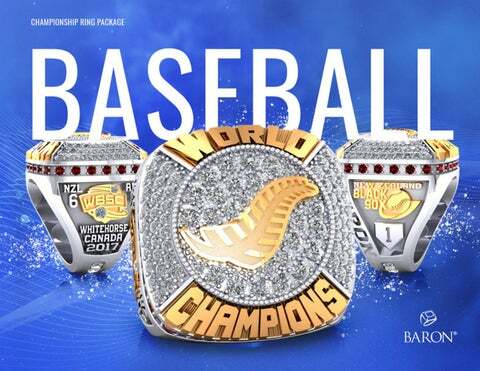 Over the past 25 years weâ&#x20AC;&#x2122;ve produced championship rings for over 10,000 different teams! We have seen thousands of dreams realized and goals accomplished and we are honored to be part of the journey. 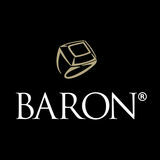 Baron Rings offers a variety of shoulder background textures and icons to help add a theme to your ring. Name, number, position, year, score, and team record are common choices, but you arenâ&#x20AC;&#x2122;t limited to those. Choose an icon or provide your own! YOUR PRO EXPERIENCE Along with a great championship ring comes an even better Championship Experience, available through your very own Locker Room. Our collection of hand picked custom items only enhances your Championship, and allows everyone involved the chance to celebrate along with you. From apparel to ring boxes, you and your team can now celebrate your Championship just like the Pros. The best part is there are no minimums and therefore no risk! Packages may include: Customized Team Posters, Wooden Boxes with personalized name plates, Pendants, Dog tags, and other wearable product. To start the Baron Experience, contact one of our Championship Ring Specialists.